With the New Holland LS180 and New Holland LS190 Skid Steers being made for nearly 10 years, its easy to tell these are hard working, reliable machines. Monster Tires knows how expensive and time consuming and can be to find and order the best tires that will last as long as you need them. 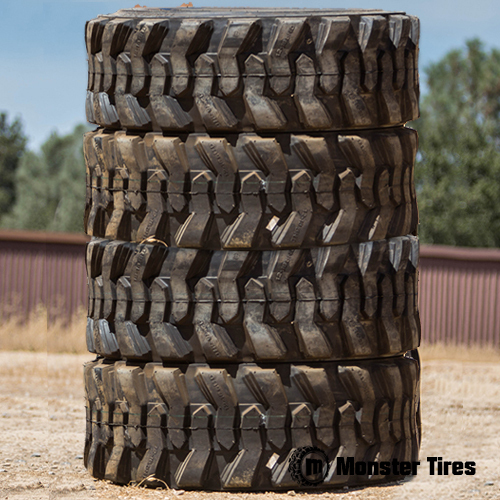 Monster Tires was created to be your one-stop shop for tires for skid steers and any other piece of construction equipment. Contact the knowledgeable Monster Tires staff to order your New Holland LS180 Skid Steer Tires or New Holland LS190 Skid Steer Tires.